Made with Pertex Shield® 2.5 layer fabric with Dry Touch, the Downpour Plus Jacket has all the essential features for comfort and practicality. A helmet compatible hood, fleece lined chin guard, velcro adjustable cuffs, and hem drawcord help achieve a secure and comfortable fit. With YKK® AquaGuard® front zip with internal storm flap, and 2 YKK® AquaGuard® zipped A-Line chest pockets to store the essentials, the left pocket doubles as integrated stuff sack, so it easily packs away. 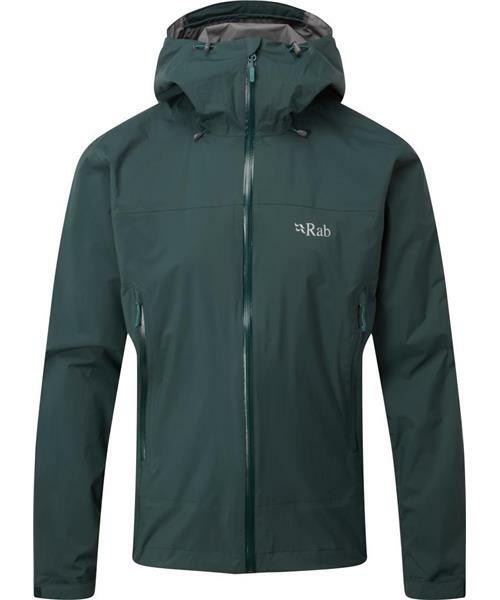 Ideal for passing showers at the crag, or walking in rolling hills, the Downpour Plus Jacket is the perfect lightweight waterproof layer to carry in case of unexpected rain.